Abuse can be both physical and mental and it can be perpetrated by anyone around you. 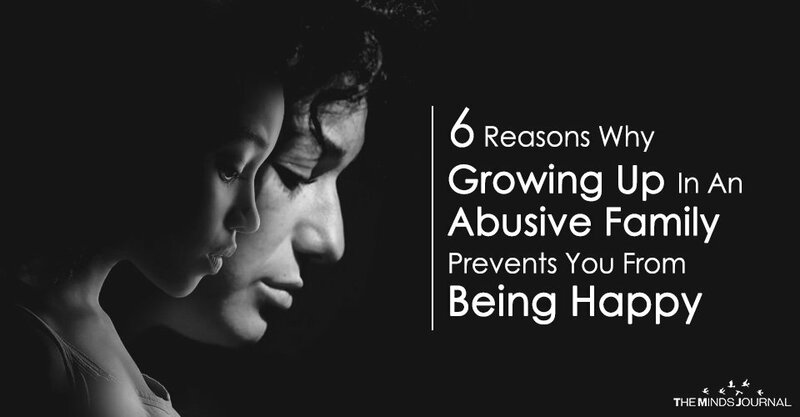 While it is hard to deal with abusive friends and partners, the worst is when it comes from your own family as you are completely dependent on them while growing up and it can be very hard to escape their influence even when you become an adult. The scars left by an abusive family on an individual are deep and lasting resulting in many carrying them throughout their lives. Below are the traits of people who’ve been deeply affected by their abusive families making it hard for them to find happiness for most of their lives. Being a part of an abusive family usually leads to people developing anxiety disorders. After spending much of their childhood looking over their shoulders in order to escape as much of the abuse as possible, the anxiety doesn’t get better even when they become adults. Attacks of anxiety occur even when there are no triggers around them to set them off. They themselves cannot narrow down the cause but the weight of it is always on their shoulders. These attacks can get so bad that they might have difficulty doing something as simple as breathing. These attacks leave them feeling helpless because they cannot offer any explanation for their occurrence and they never know what will set them off. After spending many years having their confidence and self-esteem constantly torn down by the people who were supposed to care for them and nurture them, victims of abusive families have a very hard time finding faith in themselves. Undoing almost decades worth of harsh criticism and insults is definitely much easier said than done and not many are able to heal completely. As they grow older, this affects all parts of their lives. Without self-confidence, they constantly doubt their own decisions and this often holds them back in both their personal and professional lives. They’ll think they’re not good enough for something or someone and so they’ll stop trying to achieve their goals. Even when they have to make important decisions, they’ll keep thinking of all the ways they could fail and end up ruining their work simply because of that fear. Thank you so much for this information!! It resonates with me strongly.